Size Choose an option1 oz.1/2 oz.1/4 oz.1/8 oz.3/4 oz.3/8 oz.5/8 oz. Change Weights in a Snap without Retying! 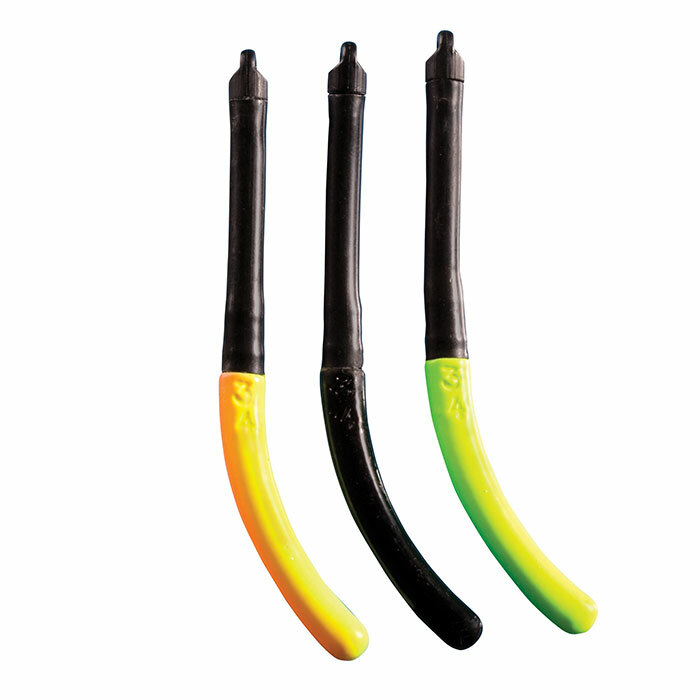 The Fin-Tech Stik is designed to be versatile on all bottom conditions. The tapered shoulder and curvature of the sinker allow it to slide snaglessly through just about any type of terrain. The buoyant rattle chamber sends out sound for fish to zero in on colored/stained water. The small tapered eyelet prevents line twist and the ability to use the smallest of “swivels” The new “EZ Weight Change” design allows you to change weights without retying – less rigging, more fishing!